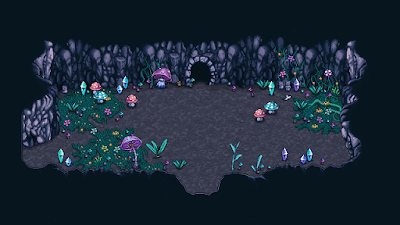 Since I'm waiting for Fred to complete the additional NPCs that will appear in Tai Ming's first zone, here's a preview of a couple more Mount Bloom room types for Arcade Mode! 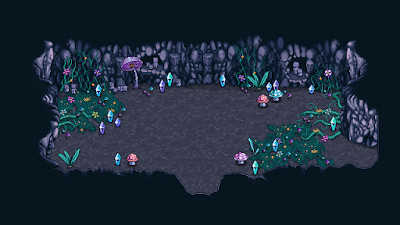 Making these rooms are a little bit of a challenge: they can't be too small with the Larvacid and Spinsects enemies ruling this section of the game, but with too large rooms there also won't be much of a challenge! Hopefully these slightly smaller rooms (compared to the last batch) are balanced enough to make it a fun challenge! 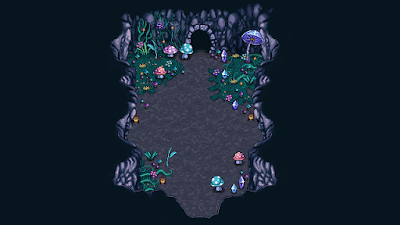 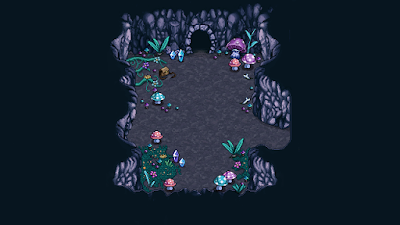 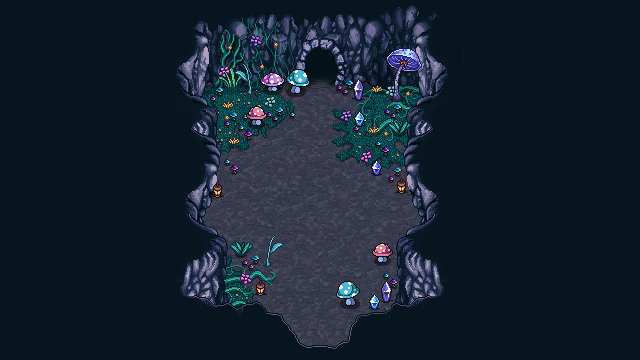 I think I'll make one more room type that is slightly more rounded, and then a few variations of some of the room with water decorations as seen in some of Mount Blooms early maps. After that we'll hopefully have enough variations, given the many different decoration combos that can appear in each room!